A California man has levied a class action lawsuit against Apple in Los Angeles Superior Court over the company’s decision to not implement technology that would prevent drivers from texting while behind the wheel. Julio Ceja, who was rear-ended by a driver allegedly distracted while using her iPhone, isn’t seeking monetary damages (save for legal fees). Instead, Ceja hopes Apple will be forced to halt sales of its iPhones in The Golden State until a lock-out mechanism preventing people from using their smartphones while driving is implemented. The complaint states that, if texting and driving is a vessel of trouble, Apple is the captain of the ship. Ceja’s lawsuit points to a patent that Apple filed for in 2008 and subsequently received in 2014. Titled “Driver Handheld Computing Device Lock-Out,” the patent outlines the use of a “motion analyzer” and “scenery analyzer” to disable a mobile device from being used while driving. In the patent, Apple notes that texting while driving has become so widespread that it is doubtful that law enforcement will have any significant effect on stopping the practice. Indeed, Apple’s analysis from 2008 was spot-on and unfortunately, the issue has only gotten worse since the patent was filed for. Sure, it’s incredibly irresponsible of people to play on their smartphones while behind the wheel but trying to pin the blame for such behavior on the maker of the device is just another example of the unfortunate litigious society we’ve created. Millions of people on a daily basis make the conscious decision to interact with their phone while behind the wheel despite being fully aware of the potentially disastrous consequences. 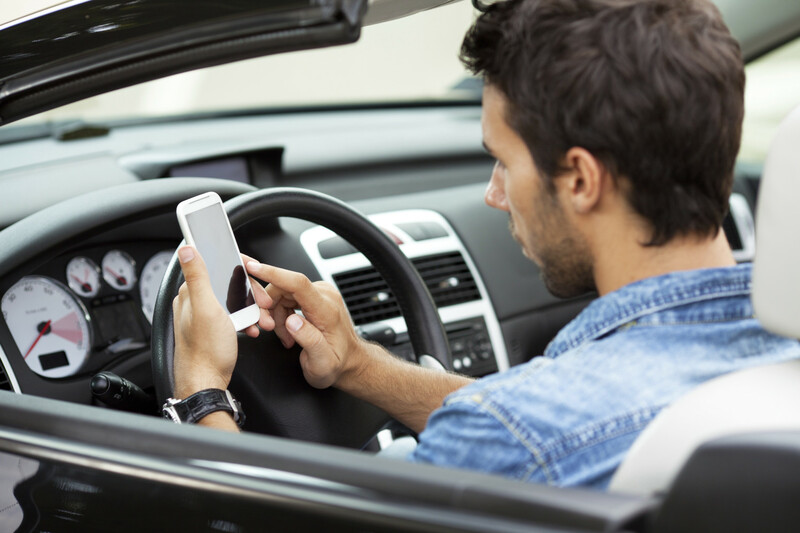 Locking down smartphones while a vehicle is in motion would only lead to further lawsuits. Sadly, the only real solution to this epidemic – fully autonomous vehicles – is still many years away. In the meantime, man up and take responsibility for your actions. When behind the wheel, you have just one job: to drive. That’s it. If you’re determined to sue somebody, go after the driver of the other vehicle that was more concerned with sending a text than keeping their eyes on the road. It’s not the job of Apple, Samsung, LG, HTC, Xiaomi, Huawei or Lenovo to protect people from their own stupidity.